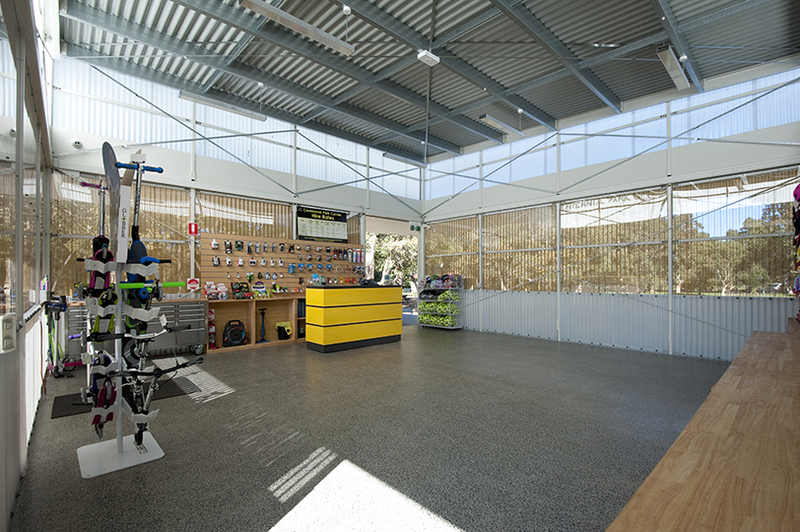 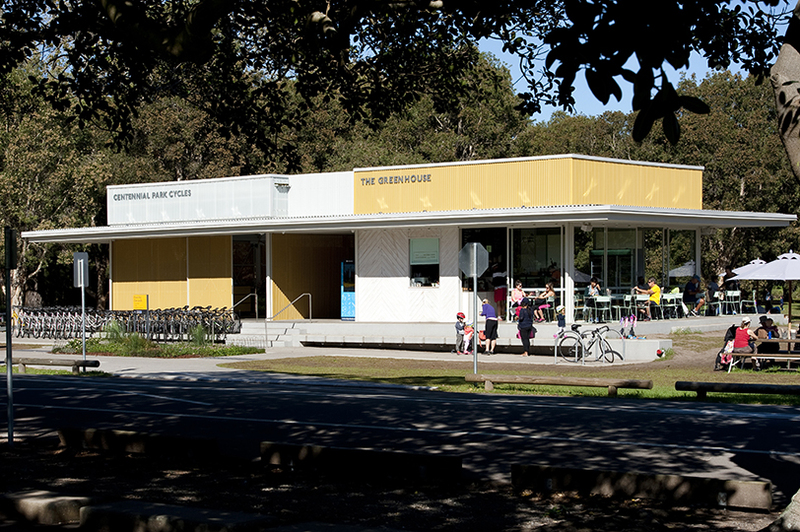 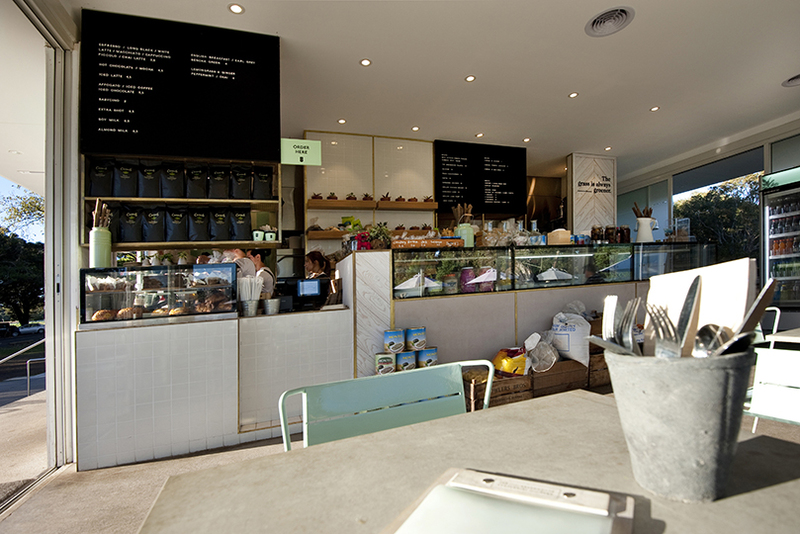 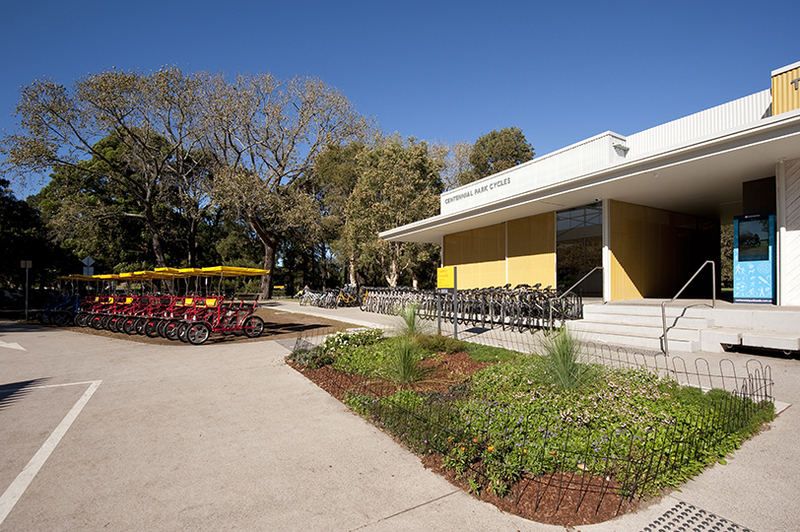 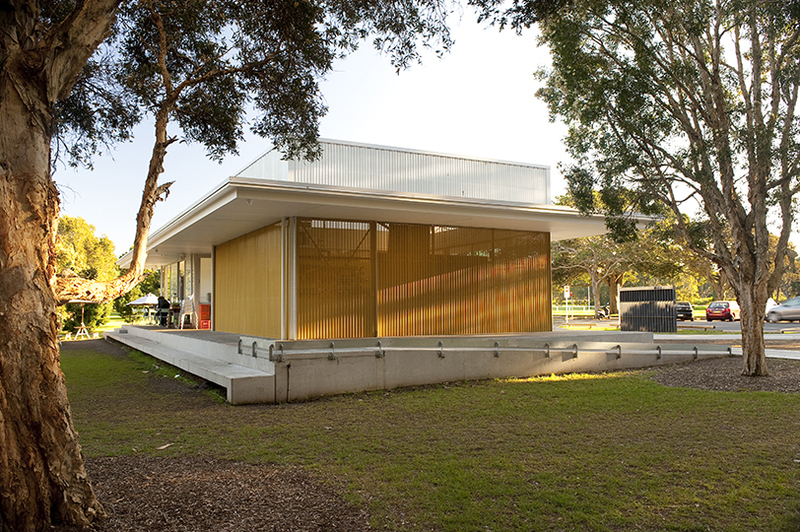 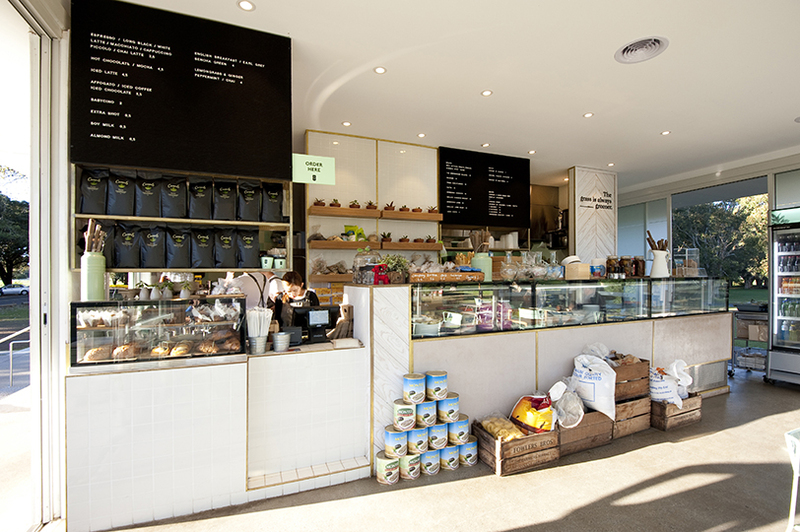 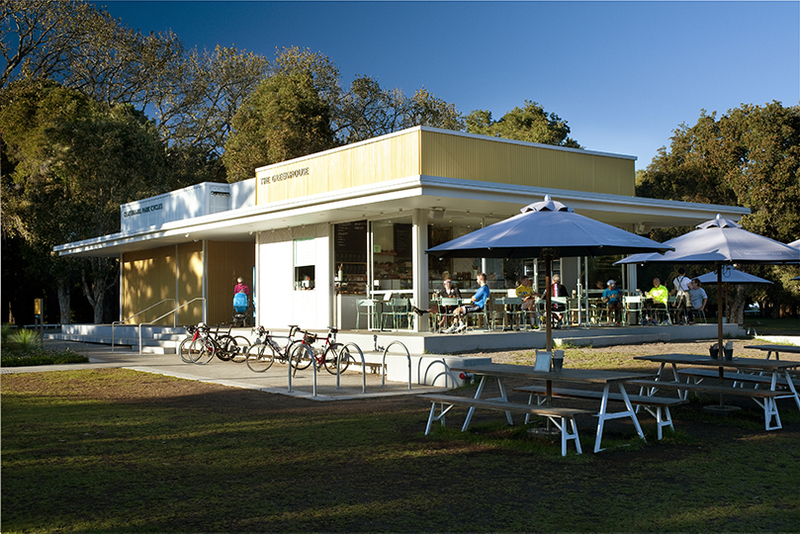 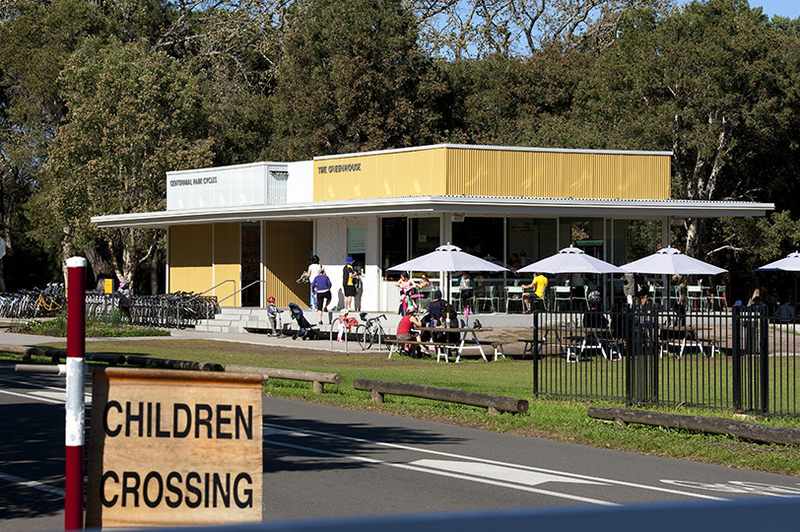 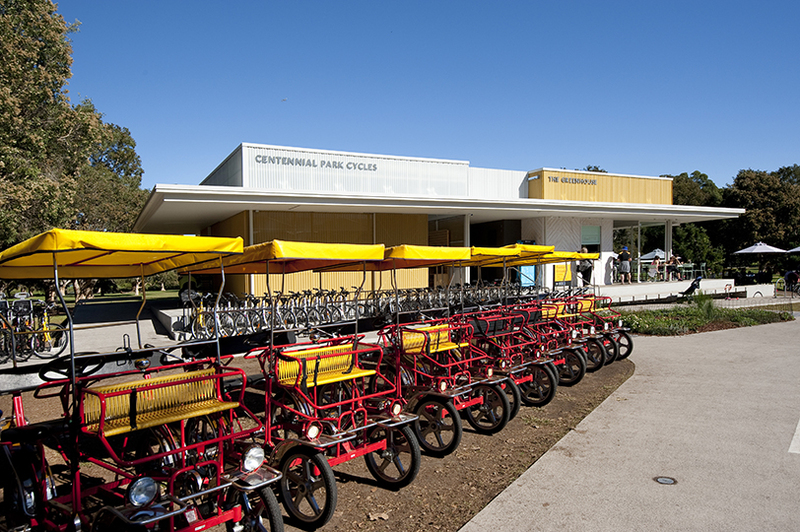 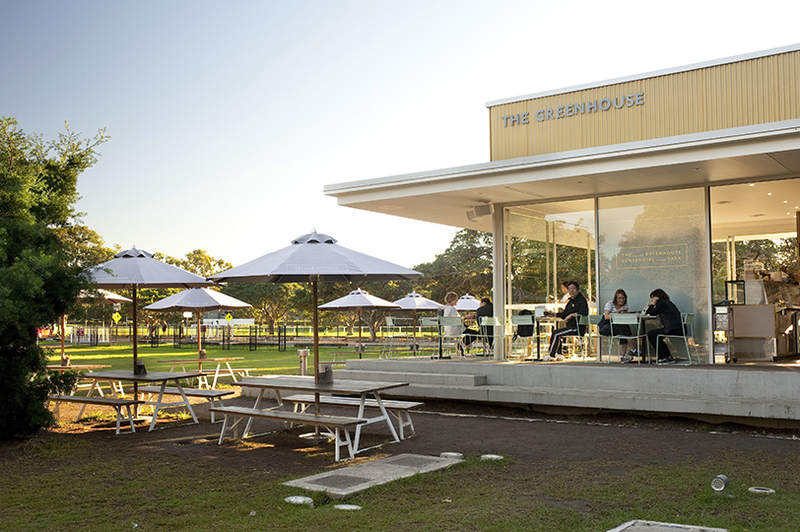 Grindley Interiors were engaged under a Government (GC21) Contract to provide a base building to house a future café and bike hire facility within Centennial Parklands. 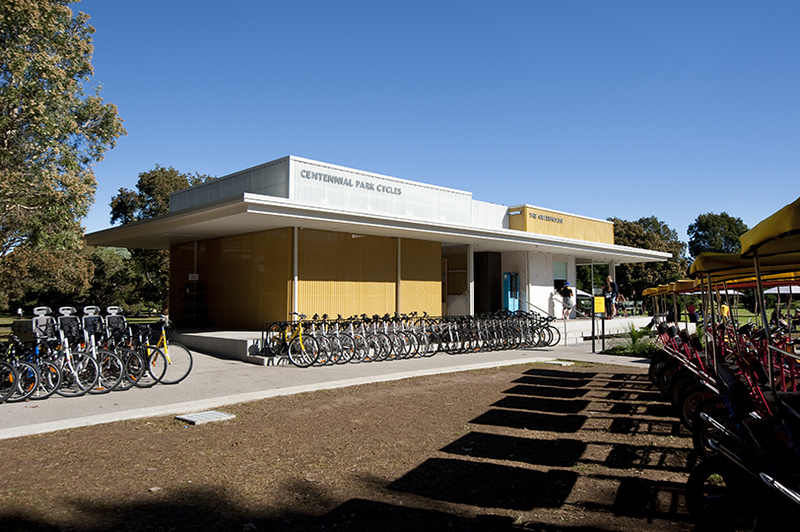 The idea of this project was to bring together users of the park from varying spaces into a central location near an adjacent children’s playground, while providing an overall enhancement for the park users and cyclists. 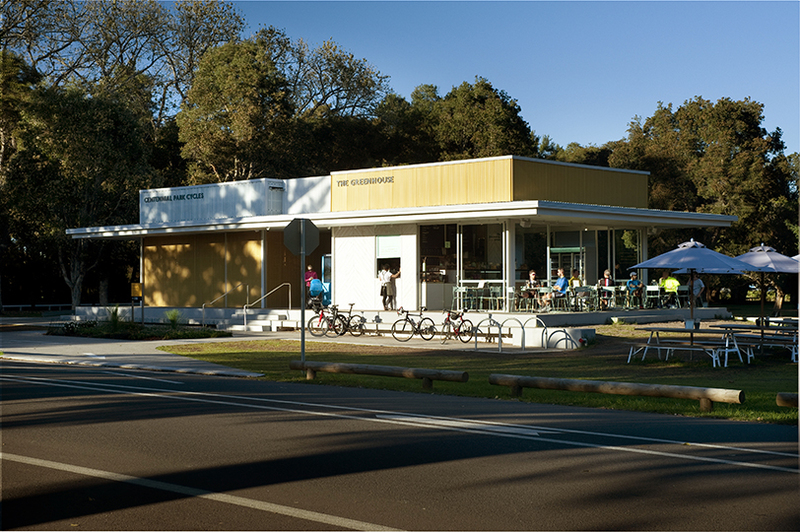 Works involved the construction of a 500m2 building to accommodate a new café on the western side and a bike hire facility to the east. 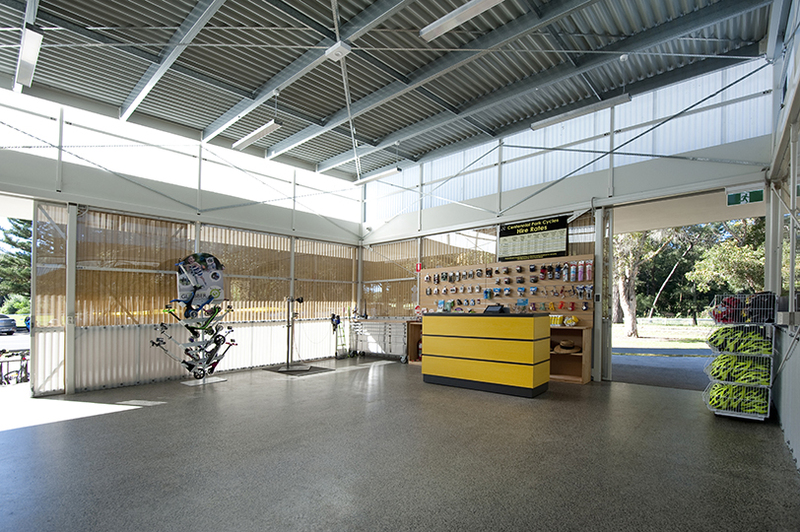 The building displays some unique finishes including applied concrete finishes and cladding with all colours and selections requiring Heritage Council approval, which provided lead time challenges for the project team. 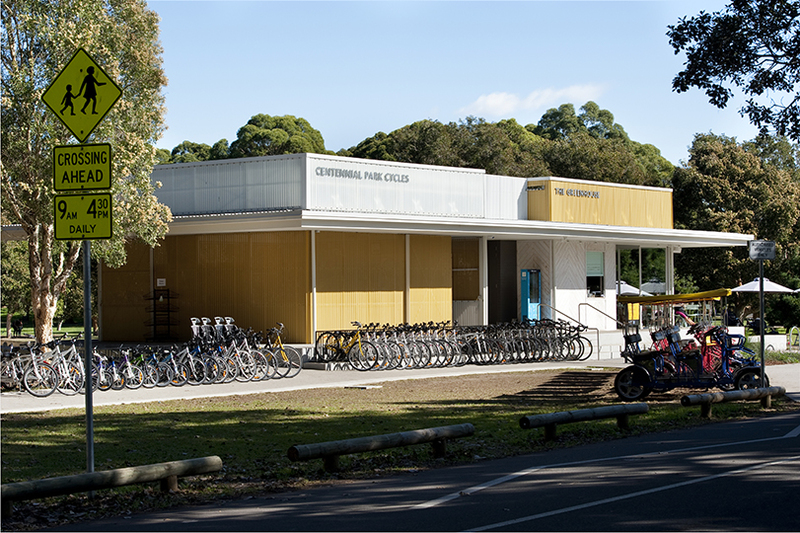 Works also included large areas of landscaping surrounding the building, garden areas, a new barbeque and picnic shelter and power upgrade. 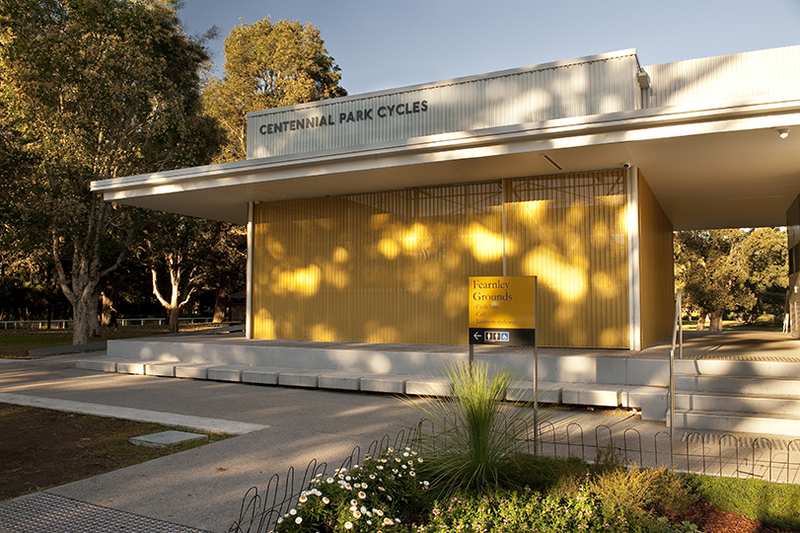 The project had some unique challenges during construction, such as the requirement to maintain the Parklands cycleway. 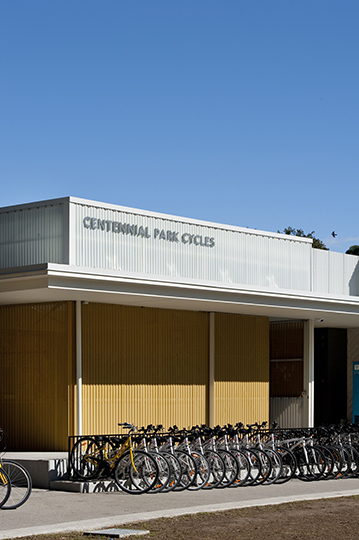 A strategic plan for materials handling was required to ensure the safety of the large pelotons of cyclists using the cycleway whilst ensuring the construction programme was maintained. 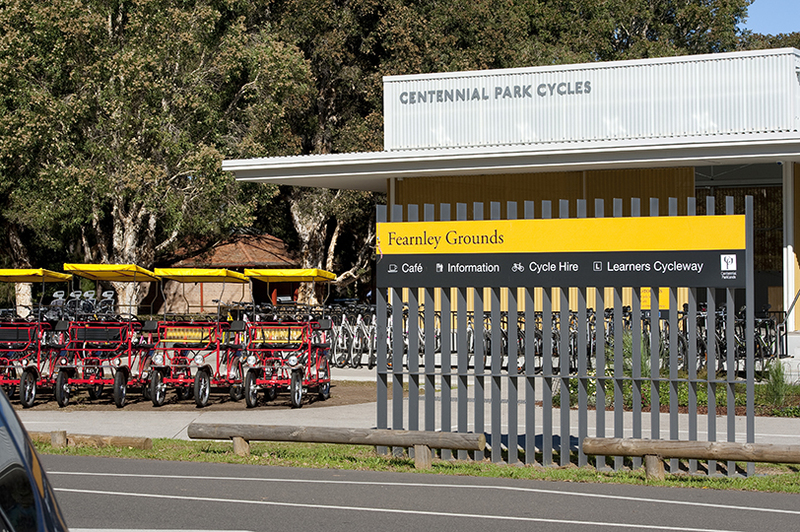 A secret naming competition for this area of the park was introduced during construction, which was revealed on the opening day as ‘Fearnley Grounds’ in honour of Kurt Fearnley.